Frank Herbert (1920–1986) published more than twenty-five books, including five Dune sequels. Born in Tacoma, Washington, and educated at the University of Washington, Seattle, he worked a wide variety of jobs—including TV cameraman, radio commentator, oyster diver, jungle survival instructor, lay analyst, creative writing teacher, reporter, and editor of several West Coast newspapers—before becoming a full-time writer. His son Brian Herbert continues to co-author new books in the Dune saga. Brian Herbert (afterword) is the eldest son of Frank Herbert. He has co-authored numerous New York Times bestsellers in the Dune series and has written many critically acclaimed novels of his own. 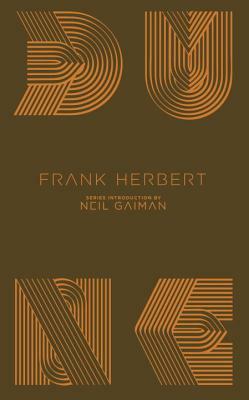 His biography of his father, Dreamer of Dune, was a finalist for the Hugo Award.